Our pond restoration and repair teams routinely operate Surrey, West Sussex and Hampshire within an area limited by about fifty minutes travel time from our yard at Hindhead (postcode GU26). An intriguing, historically interesting or challenging project may tempt us further afield. Time, the elements and often, poor upkeep all take their toll on the structure of any water feature. Add to the mix the way it was made in the first place and, sooner or later, a restoration project presents itself. The burning question then becomes - "Is the restoration worth it?" The answer depends on the merit of the original. Rather more often than not, the decay of a water feature presents a perfect opportunity to redesign. 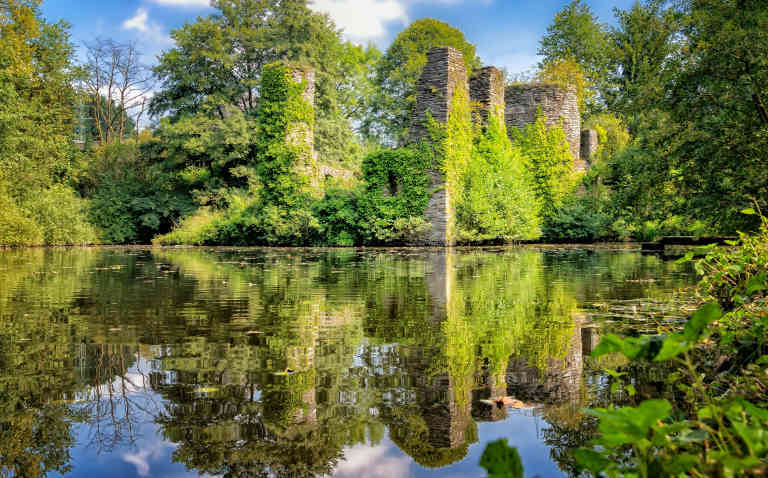 Restoration of meritorious ponds, lakes and, particularly, water gardens is not only extremely satisfying but also demands an understanding and skill set in both design and construction that few are capable of bringing to bear. With nearly forty years experience, we are better placed than most in this respect. Our design and consultancy services are available nationwide to advise on, and specify for, repair and restoration works. 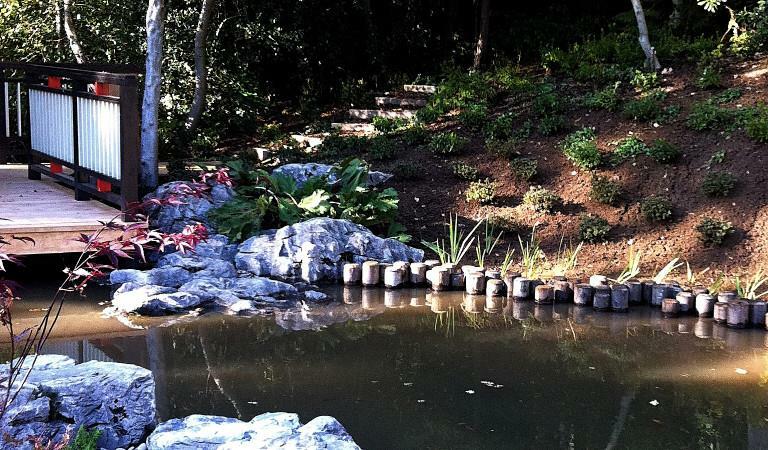 Ongoing repair of a water feature is likely to be required during its lifetime. Good maintenance and management will play their part in prolonging the intervals between repairs as, of course, will the quality of the workmanship and design employed in its original construction. However, there will inevitably come a time when the repair schedule amounts to partial restoration.